Sale/Lease Back Opportunity For Ashby Development To Purchase A Quality Property And Increase Value For Partners. The Perfect Combination Of Comfort And Location. New Multi-Family Development Project Located In Suffolk, VA.
Multi-Tenant Office/Warehouse Project Purchased Using A 1031 Tax Deferred Exchange Technique For Clients. Partners and Investors have come to rely upon Ashby for inventive and timely solutions to complex real estate problems. For years Ashby has represented the interests of investors, combining sophisticated market research. 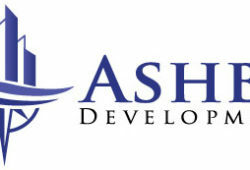 Since its first development, Ashby has offered expert local management services for its projects. Ashby Development is a Chesapeake, Virginia based privately held real estate development company involved in all aspects of the development and management of commercial, industrial, retail, and multi-family projects. Our projects focus on the Mid-Atlantic region and are occupied by strong local, regional, and international tenants.